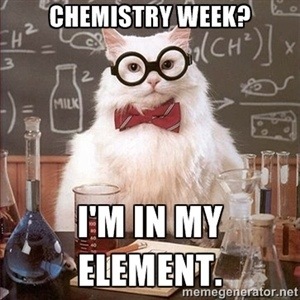 As you may be aware this week is Chemistry Week! This is run every two years by the Royal Society of Chemistry and highlights the importance of Chemistry to the masses. This years theme is health, to which chemistry has made more than a significant contribution. If you want to know more about the week and the events that are being run, here’s a useful link to the RSC page for Chemistry Week here. 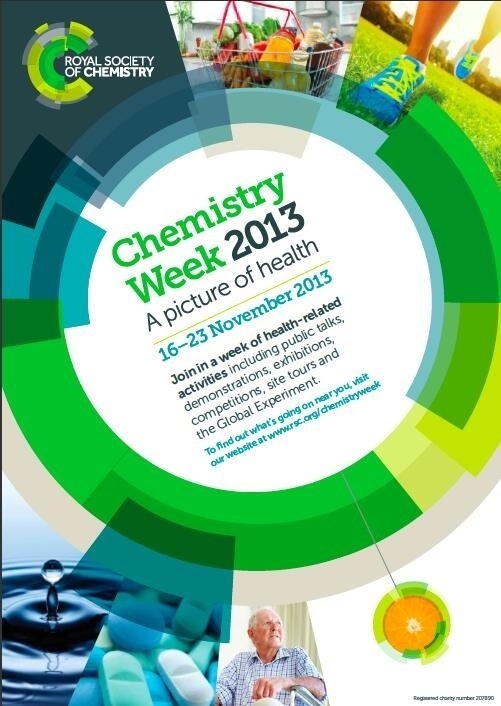 If, like me, you are a social media geek then you can follow events via the hashtag #ChemistryWeek. @RealTimeChem will be highlighting as much Chemistry Week material as it can find. In addition, this week is the perfect week to show us your chemistry, so use either #ChemistryWeek or #RealTimeChem to let the world know about it, particularly if it is health related. Looking forward to all the Chemistry Week fun!